ICANN's (Internet Corporation for Assigned Names and Numbers) Board of Directors has approved a plan to usher in one of the biggest changes ever to the Internet's Domain Name System. The Board vote was 13 approving, 1 opposed, and 2 abstaining. During a special meeting, the Board approved a plan to dramatically increase the number of Internet domain name endings -- called generic top-level domains (gTLDs) -- from the current 22, which includes such familiar domains as .com, .org and .net. In short, it means, people/companies are going to be able to use other names, for example, .coke, .car, .red, .addidas etc. 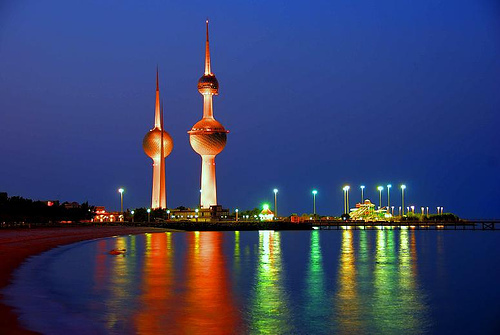 Kuwait government is working on plans to introduce residency caps on expatriates to slash their number in the country to 45 percent of the total population, local Arabic daily Annahar reported on Sunday. “The government will suggest imposing a cap of six years on unskilled labourers, eight years on semi-skilled employees, ten years on semi-skilled employees who are with their families and 12 years on skilled employees. Foreigners with rare expertise will be given an open stay,” Annahar daily quoted a source as saying, the report said. According to 2010 estimates, the number of foreign workers in Kuwait stands at 2,340,000 and make up 69 percent of the population, the report said. The total number of Kuwaitis is said to be 1,120,000. A source cited by the Annahar daily said the government is interested in proceeding with the residency cap plans after the World Bank ranked Kuwait as having the fourth highest rate of foreigners compared to the nationals. The proposal to restrict the number of expatriates will be submitted by a committee made up of representatives of various ministries. The source disclosed the Cabinet has instructed several ministries to present their recommendations to resolve the issue of foreign and marginal workforce in Kuwait. The source explained the government decided to implement these plans when the World Bank released a report showing that the ratio of foreigners to citizens in Kuwait is the fourth largest in the world — 69 percent of the total population. The top three countries are Qatar with 87 percent, Monaco with 72 percent and the United Arab Emirates (UAE) with 70 percent. Kuwait is also one of the biggest sources of remittances sent by immigrant workers to their native countries, the source added. The Kuwait government already has in place the National Manpower Development Program, which started many years ago and enforces a law which requires private companies to have a certain percentage of Kuwaitis. These percentages, depending on skills required by various industries have been increasing every year and transactions of firms not complying with the percentages are stopped. Saudi Arabia last month said it will not renew the work permits of foreign workers who have spent six years in the country as part of its plan to create jobs for nationals. A FILIPINO blacksmith's son who stopped growing when he was a toddler has been declared the world's shortest man as he celebrates his 18th birthday. Measuring just 59.93cm, Junrey Balawing is the eldest of four siblings - the rest all of normal stature - born in the rural town of Sindangan on southern Mindanao island. 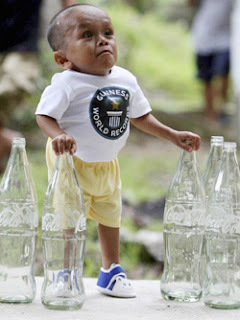 "Officially he is the world's shortest man," said Craig Glenday, editor-in-chief of the Guinness Book of World Records who measured Balawing in front of cheering relatives and villagers. The previous record holder was Khagendra Thapa Magar of Nepal, who was measured in 2010 at just over 66cm. "Thank you to all of you for supporting my son, the world's shortest man," Junrey's father, Reynaldo, told a crush of reporters and photographers. 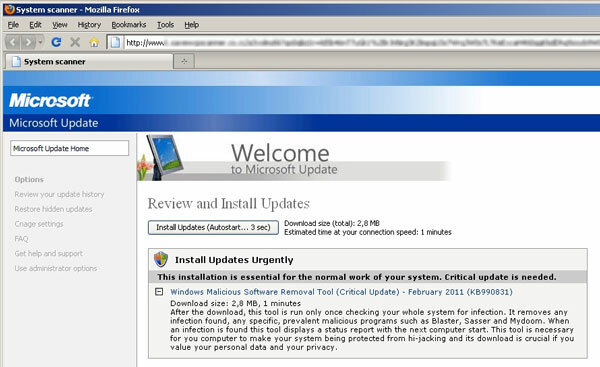 Security company Sophos has warned users against a fake anti-virus attack that masquerades as Microsoft Update. According to Sophos, criminals are looking for increasingly convincible ways to persuade consumers to download fake antivirus and copying Microsoft's own security seems to be their latest trap. "We are seeing the criminals behind fake antivirus continuing to customise their social engineering attacks to be more believable to users and presumably more successful," said Chester Wisniewski on the Sophos blog. "This week they've started to imitate Microsoft Update." According to Sophos, the drive-by page is an exact replica of the real Microsoft Update page, but only appears on Firefox. "It only comes up when surfing from Firefox on Windows," said Wisniewski. "The real Microsoft Update requires Internet Explorer." According to Sophos, the attacks are becoming increasingly complex and targeted and it is time users start considering communications from software providers with the same level of suspicion previously reserved for fake bank emails. "They use high quality graphics and are using information from UserAgent strings that are sent by the browser to customise your malware experience," Wisniewski said. "Just like visiting your bank, you should only trust security alerts in your browser if you initiated a check with Microsoft, Adobe, Sophos or any other vendor for updates to their software." Chinese movie star Gao Yuanyuan poses in a gown made of lettuce and cabbage leaves during an event organized by People for the Ethical Treatment of Animals (PETA) Asia in Beijing, in this file photo taken June 8, 2011. It was made of lettuce leaves, part of an effort by animal rights group PETA to encourage consumers to go vegetarian as meat consumption in China keeps on rising. Draped in the dark green, form-hugging leaves, Gao also sported a necklace made of gleaming red chili peppers. "After going vegetarian, I feel so much lighter," Gao told a media event. "When I first started the vegetarian diet, I was not used to it and so I ate starchy foods in big amounts, and gained a little bit of weight. Still, I felt much more energetic." Chinese, historically, had a vegetable-heavy diet, but as incomes and living standards have rising among the nation's growing middle-class, people are eating more meat. On average, each person consumes 55 kilograms a year. China's consumption of meat has quadrupled over the last four decades, resulting in a number of health problems. "Per capital consumption is still lower compared to the Western world, but it's changing -- it's getting worse," he said, noting that factory farming of meat has begun in China as well. "Consumption is going up, and related to that so are diseases related to meat consumption - cancer, heart disease." Still, meat eaters remain skeptical. "I think going vegetarian doesn't always equal health," said a Beijing resident who gave only her surname, Wang. "You still need to have both meat and vegetables to have a balanced diet. If you only eat vegetables, there's bound to be some lack in your dietary requirements." A young mother smoked 3,500 cigarettes while pregnant claiming it was good for her baby. Charlie Wilcox, whose daughter Lilly is now 14 weeks, reckoned that smoking would make her unborn child's heart stronger by restricting her oxygen supply and forcing her heart to work harder. While she was pregnant Wilcox said: "It's making the baby use its heart on its own in the first place, so that when it comes out, it's going to be able to do them (sic) things by itself. Where's the proof that it's so bad to smoke?" Lilly weighed just 2.78 kilos at birth more than 450 grams less than the UK average of 3.25 kilos. She was also born ten days early. Midwives tested 20-year-old Wilcox's carbon monoxide levels when she was pregnant and discovered they were six times higher than the level considered safe for a baby. But Wilcox, of Rainham, Kent, insists she was right to continue smoking. She said: "I think it was my right and I don't believe it was hurting Lilly. I wasn't ready to give up smoking. I think if I'd given up mid-way, straight away the stress would have been more harmful to the baby. "I felt her kick every day, and on every scan I went to, she was healthy and growing. I did manage to cut down to five a day when I was six months' pregnant up to when I gave birth. "There is nothing wrong with her. I think she was a good weight, and she's developing well and now weighs 13lb(5.9 kilos) ." Wilcox, who had hoped to join the police but currently lives on benefits, even claims giving up smoking caused a friend's miscarriage. She said: "My mate gave up smoking and she miscarried at nine weeks, on the same day I gave birth to Lilly. "Me and my friends think it's because she gave up smoking. The mother-of-one told BBC3's Misbehaving Mums To Be that she typically smoked one cigarette every 45 minutes during her pregnancy, up to a minimum of 20 a day. Mobile phone users may be at increased risk from brain cancer and should use texting and hands-free devices to reduce exposure, the World Health Organisation's cancer experts said. 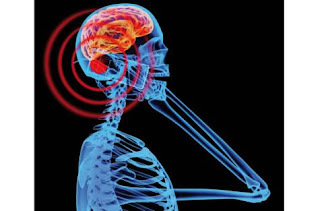 Radio-frequency electromagnetic fields generated by such devices are "possibly carcinogenic to humans," the International Agency for Research on Cancer (IARC) announced at the end of an eight-day meeting in Lyon, France, on Tuesday. Experts "reached this classification based on review of the human evidence coming from epidemiological studies" pointing to an increased incidence of glioma, a malignant type of brain cancer, said Jonathan Samet, president of the work group.